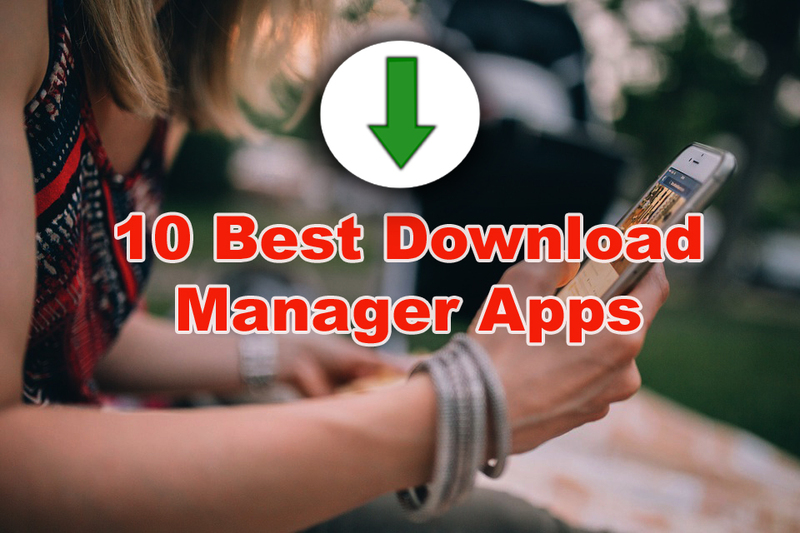 Download managers apps are special programs and browser extensions that help in downloading large data as they should in an organized manner. They can even speed up the download process by downloading your item from multiple sources at once. Also, they often support pausing and resuming of downloads. This download management tool that lets you download files of any type to your Android device in a very comfortable manner. Among the most outstanding features on Advanced Download Manager is the ability to choose from several different download folders depending on the file type. For example, when you download videos it will automatically get saved to the ‘video’ folder, while text files will download to their corresponding folder. Other interesting options included in this download manager app the ability to resume downloads stopped due to a lost connection or program downloads. There is an option to set a specific time for start download. 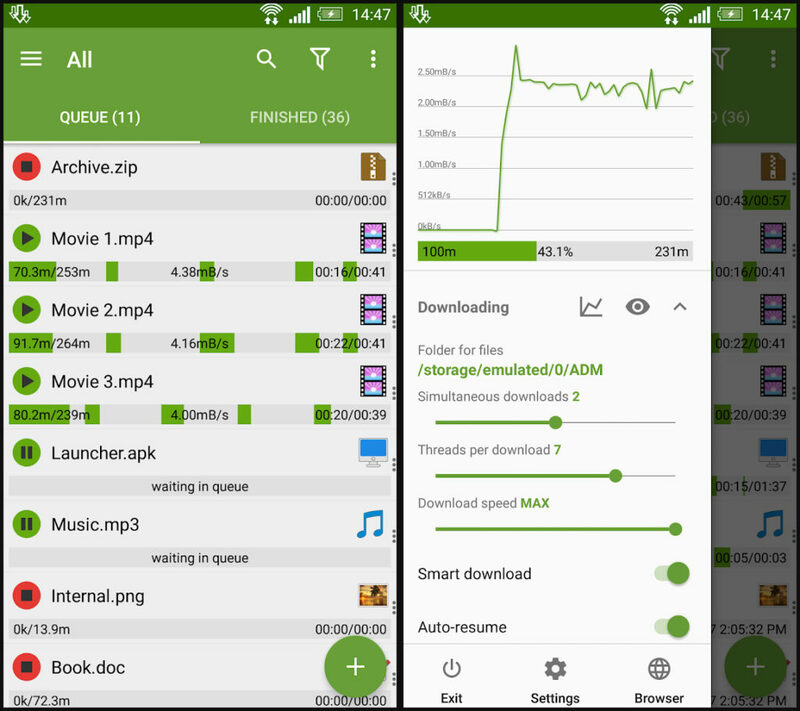 A comprehensive tool for managing your downloads, and thanks to it you can turn your Android device into a management centre to administer all your downloads. So basically you download anything like file and it will automatically get sent to its corresponding folder depending on what type it is. 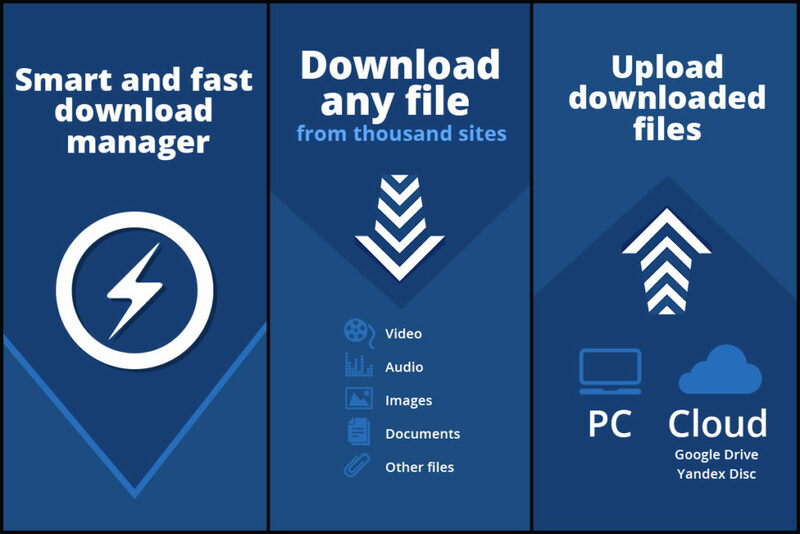 Turbo Download Manager is another tool which provides reliable file fetching (downloading) even on low bandwidth internet connections such as 3G or 4G networks. It is a download manager with multi-threading support. Increases downloading speed depending upon various segments and your network capability. With fresh links it allows you to continue broken downloads. Allows downloading from multiple sources. During downloading one can preview media files. The tool is easily extension-able and can be accessed from other extensions and applications. To conclude, although this is used in Android phone, it’s mainly helpful while using internet browser on a laptop such as Mozilla Firefox, Google Chrome and all. Easy Downloader Pro is a tool that allows you to safely download any file or document directly to your Android device without having to worry about the usual problems you run into on mobile devices. We can say that the problem of malware virus and all never come in this. The application allows you to organize all downloaded files by sorting them into different folders like videos, documents, images, APKs files, etc. for even better storage just like I told you for ADM.
Easy Downloader is fully compatible with almost all browsers for Android, like Dolphin, Sky Fire, and Firefox. Through it, files can be downloaded fifty percent more quickly and also one can download multiple files at the same time. In addition to this, you can also pause downloads and resume them at any time. Beyond being compatible with these browsers, one of the most interesting features of Easy Downloader is that it lets you browse and download directly from its interface. Its interface is simple, easy, and light, serving all purpose excellently. While downloading, you’ll see individual progress bars for each of the files you have in the queue. To add a new download to this link is as simple as copying and pasting the link. 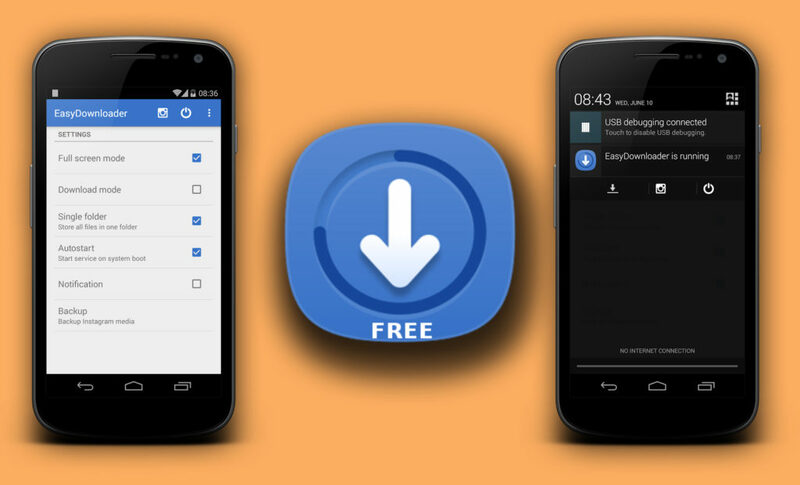 Easy Downloader is a useful tool for any user of Android devices who use their phone for downloads, as it helps in making the process easier as well as cleaner. You will love this one because it’s compact and easy without any problems and as usual it for Android users only. This app is basically for those people who love fast download speed but wait there are some negative aspects also on this which I’ll mention afterwards. Download Accelerator Plus works are in a very simple way and thus you barely have to give it a thought. Navigate as you normally would using its built-in browser that makes downloading any file much easier. When a download begins, a window pops up asking you the folder where you want to save the file and with what name. It’s important to keep in mind that Download Accelerator Plus does not let you download anything you wouldn’t normally be able to with your standard browser – no YouTube videos or anything like that. Still, it does let you manage all your downloads through your Android device, without considering the file type. 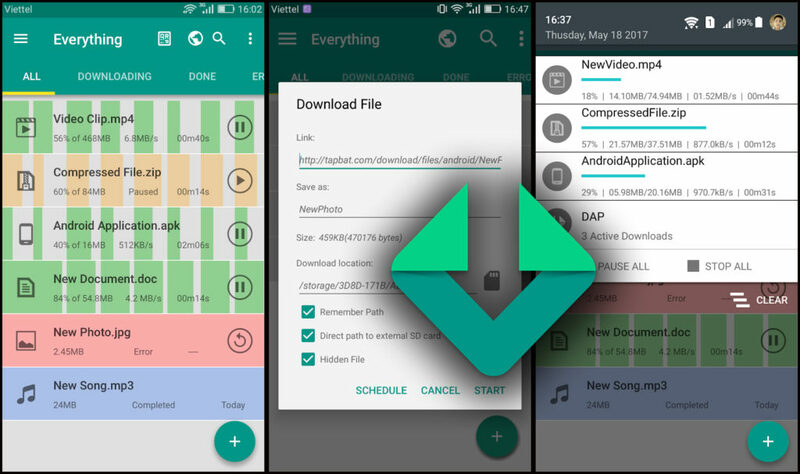 Download Accelerator Plus is a good downloads manager thanks to which you can download several files simultaneously and, above all, have more control over what you’re downloading from your Android. Blazing fast downloads with Download Blazer. This tool is easy-to-use and free manager app for your Android devices. Download Blazer will boost your download speed and make your downloads more reliable with download resume support. This is a free ad-supported version of Download Blazer. You should buy ad-free Download Blazer PRO in case you prefer this app. You purchase supports the future development of the app. 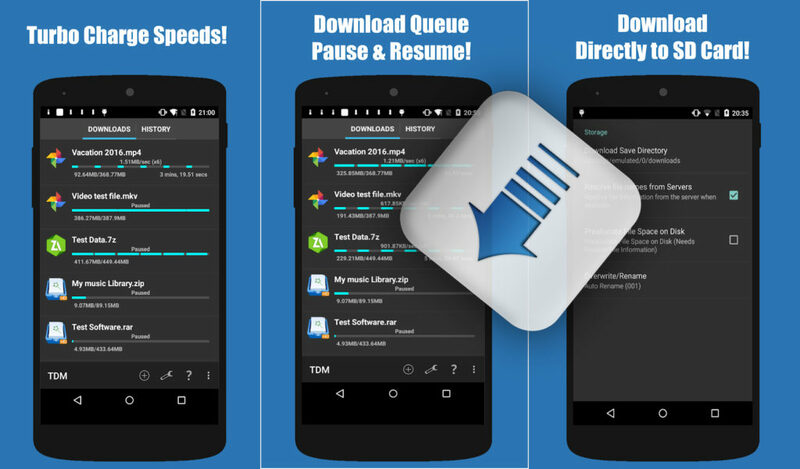 Organize your downloads in the queue. Download all file types from the web. 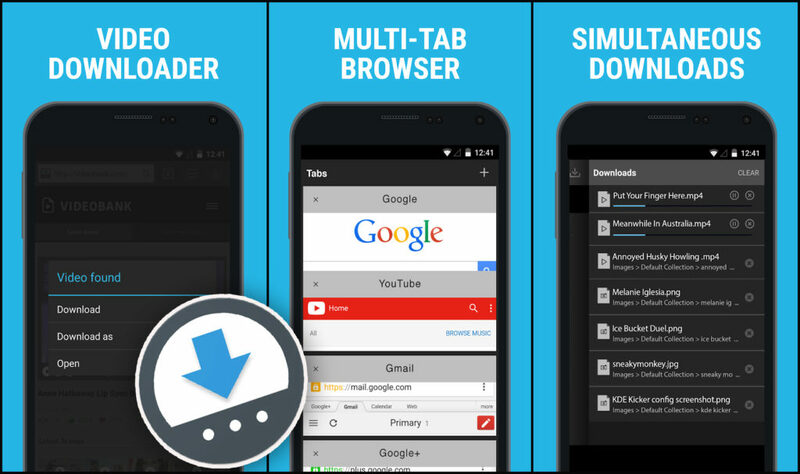 Download Manager for Android is known to be one of the best download manager apps in the current market. It allows free downloading of any files and claims to provide three times faster-downloading speeds than other downloading apps. User-friendly interface and also carries a built-in file manager and browser. Features web page bookmark manager, speech recognition, and also has the option to pause and resume large downloads. Supports download for HTML 5 web pages and videos. Downloader can easily imitate the browser’s User Agent string to display web pages like desktop, iPhone, iPad, Safari and other browsers. The app overcomes many limitations of a download manager and thus provides a fast and secure process. It has some in-app purchases and display ads and comes completely free. 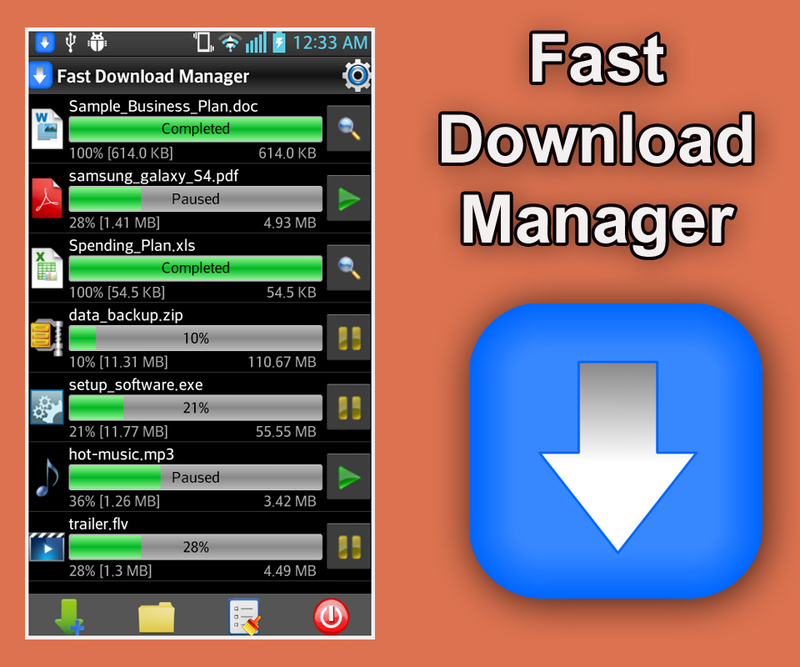 Fast Download Manager is another excellent Android download manager providing quick and easy solutions to download files. It automatically detects downloadable links from your web browser, or you can even manually add some links. You can download all types of files. Also, you can pause, resume, or restart downloads anytime. Additionally, you can download many files simultaneously and even queue them. It allows user to download files while the app is running in the background. The app is free and lightweight, and also has options of various languages. 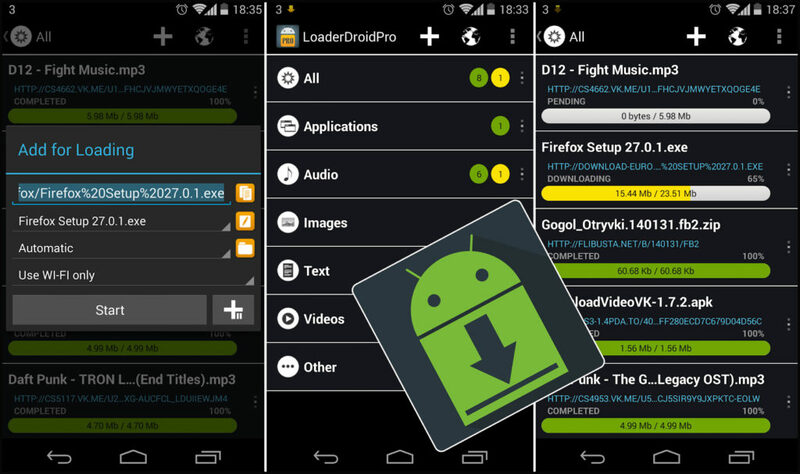 The Loader Droid download manager is primarily designed with aim of using it in Android devices. Like ADM, it automatically captures downloadable links from supported Android browsers. It provides fast downloading speed by splitting the download into parts. You can even pause and schedule the download for a later time. It is a free, stable and easy to use the app. You can download files of any size and can save them to your SD card. It comes with an embedded browser, and you can download any file you prefer. Overall, this download manager app for Android should be tried once. It is free and ad-supported. GetThemAll is a tool that lets you download any file (photo, video, PDF document, etc) from any webpage in a very straightforward manner. If you have this tool, you do not have to check out any other websites for downloadable files. It comes with a fully integrated web browser. This browser will display a small arrow in the lower right corner and when you click it the app will analyze the page to see if any other file is to be downloaded. Also, you can filter files to be downloaded using various format (JPG images, videos, text documents, zip files) and start downloading them just by clicking. You can select the folder where you want to store all the files or choose an online storage service to keep them in the cloud. This is an excellent app for downloading all the files that you normally wouldn’t be able to from your Android device. It is available free of cost in the Play Store with no in-app purchases. The app, however, displays ads. It also has an ad-free version which is chargeable. Downloader and Private Browser is a lightweight and amazing tool for users. Files can be downloaded by accessing them via its browser. It supports downloading of all formats of files. You can even browse the web privately by enabling its private browsing feature. Even you can store your downloaded data in a password-protected folder. It also has an in-app video and music player. The app supports up to 10 parallel downloads. It is available for free with in-app purchases. However, there are a lot of ads which may be quite annoying.